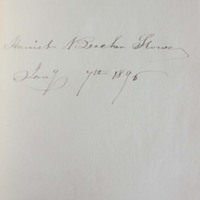 The Writings of Harriet Beecher Stowe: With Biographical Introductions, Portraits and Other Illustrations. 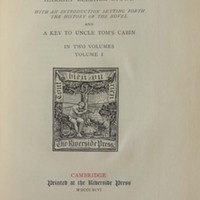 Cambridge: Printed at the Riverside Press, 1896. 16 Volumes. Limited edition of 250 copies, signed by the author. The Riverside Press of Cambridge, founded by Henry O. Houghton in 1852, was noted for the quality of its distinguished American Literature series. 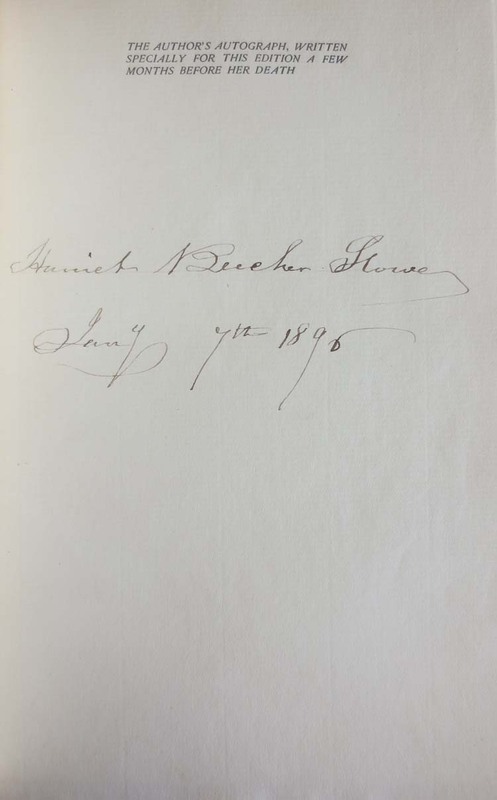 This presentation of Stowe's works, issued posthumously, includes an inserted page signed by the author on January 4, 1896 with the printed inscription, "The author's autograph, written especially for this edition just a few months before her death." 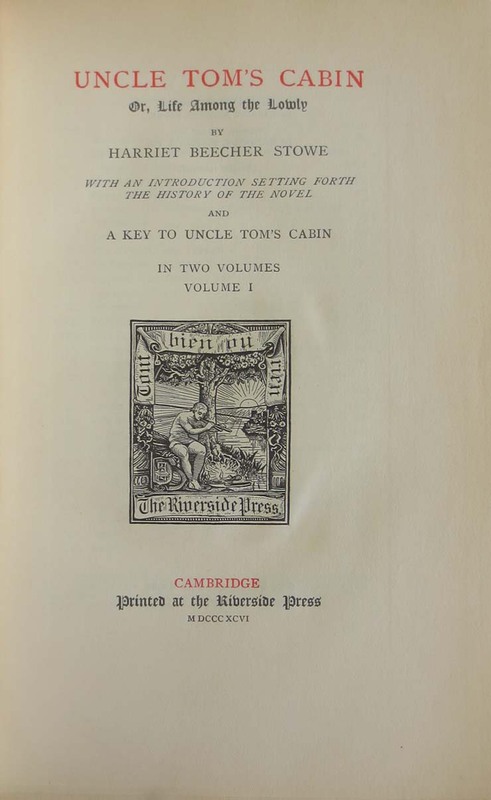 Volumes one and two of this collection include a Biographical Sketch of Stowe, Uncle Tom's Cabin, and Key-, and an essay "The Story of Uncle Tom's Cabin," by Charles Dudley Warner. A prominent essayist, Warner was a Stowe family friend best known for his collaboration with Mark Twain on The Gilded Age. He published his famous essay on the work's history simultaneously in The Atlantic Monthly, a journal to which Stowe had contributed frequently.